We all know that eating five portions of fruit and vegetables every day is supposed to help you stay healthy. But do you know why greenhouse vegetables are so good at helping you thrive? There are so many different types of vegetable that you can grow in a glass house but some of them have amazing properties. You can defy ageing, fight illness, boost your immune system and even strengthen your bones! So if you’re finding it hard to get your dose of health foods every day, read on and discover how these humble vegetables can totally change your life. Cucumber is not only a refreshing ingredient in your sandwiches or sliced into your gin and tonic, it can also boost your body’s minerals. Cucumbers are rich in iron, sodium, potassium, magnesium, calcium and zinc. This vegetable also has lots of vitamin B which is improves metabolism and helps you have more energy. It is high in vitamin C which boosts the immune system and fights common colds. Cucumber cleans the body of cholesterol and slows down the ageing process.And it doesn’t have to be eaten either, you can slice cold cucumber and place them over your eyes to reduce your skin’s redness and puffiness. This plant is great on a summer salad or even to add a healthy layer to a burger but this low-calorie greenery is full of brilliant vitamins. It has vitamin A which is a powerful antioxidant. This vitamin also helps maintain your sight and brain function. Lettuce also has the immune-system boosting vitamin C and vitamin K which your body uses to form blood clots. The plant also includes iron, calcium, magnesium and potassium which your body uses to boost your metabolism. The great thing about lettuce is that it needs small amount of space to grow and is a hardy plant which grows easily. Tomato isn’t technically a vegetable (shh!) but many people treat it as such so it made the list. It is also one of the best “superfoods” for the amount of health-improving vitamins and minerals it contains. This squashy little crop can actually fight cancer, heart disease and diabetes. One single tomato has 40% of your daily recommended amount of vitamin C which is why tomato soup is a recommended food for people battling colds and flu. They are packed full of potassium, dietary fiber, vitamin A, vitamin B6, folate, niacin, vitamin E, copper and manganese. For a tiny little crop they pack a punch! The amazing range of health benefits doesn’t end there and even one portion of this fruit every day can change your life for the better. Peppers are another low-calorie food which is brilliant for adding flavour as well as nutrients in your diet. They are full of vitamin A and C as well as including folic acid, fibre, and potassium. The combination of these minerals is what gives them the disease-fighting properties. Capsaicin, which is found in bell peppers, reduces cholesterol as well as controlling diabetes and eases inflammation in joints. It also has vitamin E which reduces the ageing process and keeps you looking youthful.B6 in the peppers keeps your nervous system healthy and renews cells. It’s not just Popeye that enjoys his spinach, many people all over the world grow this green vegetable to boost their health. It is full of antioxidants and packed with iron, minerals and vitamins. The benefit of spinach is that it grows very fast and produces lots of crops. It is one of the healthiest green vegetables you can grow in a greenhouse with the list of beneficial vitamins including A, C, K and E. It also staves off heart disease, helps aid your digestion and lowers cholesterol. You can steam it and add it to almost any dish – pasta, stews or just as a bed for a salad. Remember to cook around twice the amount you think you will need as spinach shrinks right down as it is cooked. Although you can grow these outside of a greenhouse, germinating the seeds works best if you do it inside a greenhouse away from the frost. Carrots are a great source of antioxidants like vitamin C and they also protect your eyesight.The vitamins in carrots can reduce glaucoma and damage to your optic nerve which is why they have become known as a food to boost the eyesight. Eating carrots can also protect against cancer – especially cancer of the colon.The best way to cook carrots is to steam them which prevent the nutrients being lost through cooking. Carrots can be grown quite easily and are easily chopped or mixed in with meals to boost the nutritional content. A spring onion is just a young onion which is harvested before the bulb gets to the size of an ordinary onion. Sowing seeds in a pot is the easiest way to grow these vegetables and one pot can grow dozens of onions quite quickly if you keep them in the right environment. There are antioxidants in these little green plants which can stop DNA becoming damaged and has vitamin K which helps bones stay healthy. Spring onions are also a great treatment for the common cold. If you’ve never realised the health-boosting properties of vegetables then hopefully you know how important they are after reading this article. Next time you’re cooking a meal, throw in some spinach to boost your iron and if you want to stay looking younger for longer just crunch on some fresh cucumber. These vegetables aren’t difficult to grow and once you start enjoying these crops straight from the ground you won’t taste supermarket food the same ever again. So when you’re sowing your next season’s crops, include some of these miracle foods in your greenhouse. 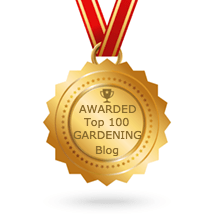 If you’ve found this article helpful, or you have any tips to help other gardeners, comment below and share this article.